Torker Interurban 16 speeds of drop-bar fun. 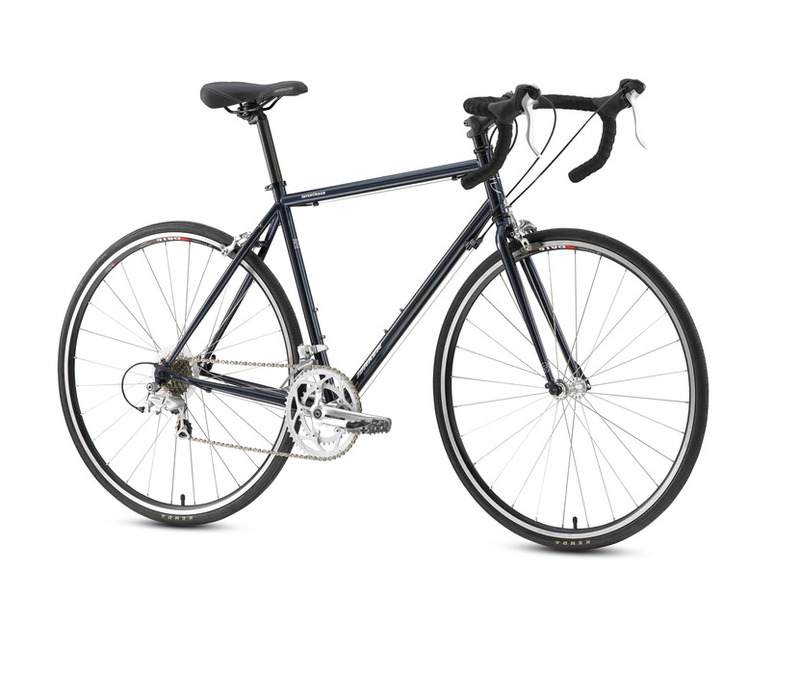 The Interurban is a fast rolling road bike with a great riding double butted chromoly frame that has all of the fittings and clearances to fit wider tires and lots of accessories. Fully outfitted with convenient Shimano brake/shift levers & derailleur’s, and the lightweight FSA alloy crankset. Quick stopping dual pivot brakes and lightweight alloy wheels make this a quick and nimble road, commuter, touring, bike. As Lovingly Assembled with Stop Flat II Tire Puncture Protection Liners and Alloy Body/Steel Cage Pedals equipped with Strapless Nylon Toeclips with Taxes as Included $725 Out the Door!